Hi, the tiles on the floor in the bathroom have craked and over time water had seaped through and damaged what ever is underneath as there is a spring in the floor that needs to be sorted. it is in a basement apartment so the floor must be slightly proped on joyces which may have rotted. 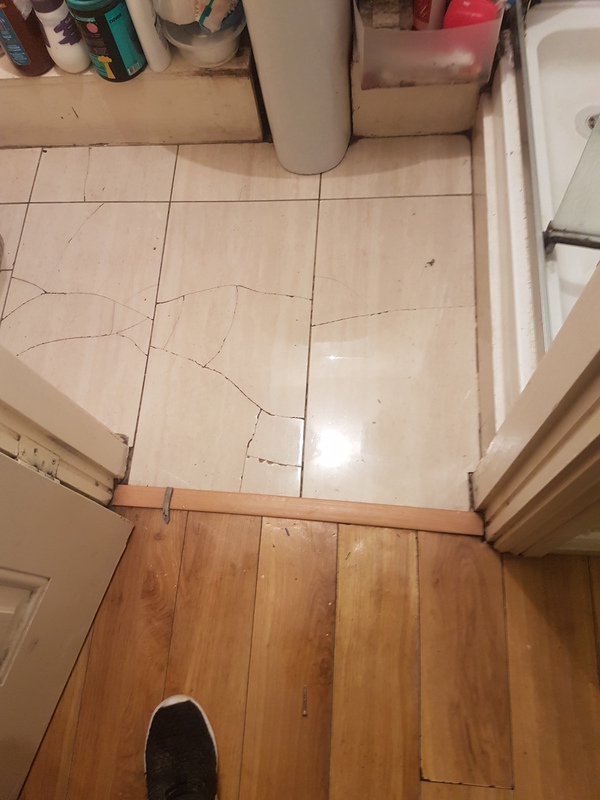 the floor will need to come up and sort this out then relay plywood boards and retile the bathroom floor.